As personal feelings increasingly replace reality and truth, revisionist history is giving way to revisionist art. Madeline L’Engle’s classic novel, A Wrinkle in Time, features an epic story of good versus evil. Written from a Judeo-Christian worldview, the fantasy book, in the vein of C.S. Lewis’ Chronicles of Narnia and J.R.R. Tolkein’s Lord of the Rings, is a coming of age hero’s journey, featuring a myriad of biblical themes and scriptural quotations. Prominently featured is the idea that God uses weak and discarded people to do great deeds, including persevering against the evil-strong. Disney’s rendition is very different, subverting Christian themes and highlighting a Hindu and Buddhist worldview. Disney, enlisting the aid of the high priestess of the New Age movement, Oprah Winfrey, has transformed L’Engle’s Christian masterpiece into a new-age mantra. The book’s theme of good versus evil, or light against darkness is generally retained. Mrs Who (Mindy Kaling) quotes from the Gospel of John, “And the light shineth in the darkness; and the darkness comprehended it not” (John 1:5). Yet discarded on the film’s cutting room floor are many Bible quotes, Christian historical figures, and references to Jesus. The film erases references to da Vinci, Michelangelo, Beethoven, Rembrandt, Bach, St. Francis and Jesus replacing them with references to Nelson Mandela and Maya Angelou. Perhaps what is most disturbing is Disney’s distortion of the biblical revelation of who God is and our relationship to our Creator. 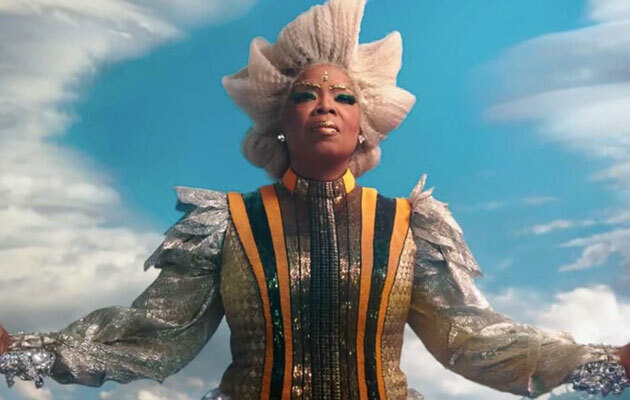 In the film, replacing the other-directed worship and awe of the book, deity is described as the “Universe.” Mrs Which (Oprah Winfrey) asks, “What if the universe is all inside each of us?” Later, Oprah’s character announces, “I am a part of the universe, just like you, Meg.” Later when Meg is struggling with a challenge, she is instructed that she won’t succeed “until you become one with the universe and yourself.” This all is a flimsy hippy-dippy replacement for L’Engle’s bold acknowledgements of the Judeo-Christian God and powerful quotations of scripture. Unlike the film, the scriptures clearly teach us that God is Creator, superior to and district from His creation—including the “Universe” and us as the pinnacle of His creation (See Genesis 1-2). Though we are created in God’s image, we are not gods. While narcissism and self-worship are extremely popular today, it is a profound mistake for us to confuse God with his creation. This confusion naturally leads to the false worship of His creation (idolatry), including misdirected self-worship (See Romans 1:25). Pagans, not authentic biblical Christians, believe that you become one with god and the god within you as you become one with creation (the universe). The fundamental problem with failing to worship God is that it quite naturally leads to the misdirected false worship of creation (the “Universe”) and the false and quite silly worship of self. This is paganism, period. Yet Disney has no qualms replacing L’Engle’s bold acknowledgement of and worship of the biblical God with Hinduism’s pagan conception of the “Universe.” Disney’s self-centered view of humans as divine, affirms our culture’s sick narcissistic self-worship. I submit that orthodox biblical Christians ought to be deeply disturbed with Disney’s replacement of the Judeo-Christian worldview with such overt paganism. If you take your children to this film, please don’t make the mistake my mom did with Star Wars of telling them that the “Universe,” like the “Force,” represents God. It certainly does not. Confusing the creation with the Creator is a classic pagan lie. The truth is God is distinct from and transcendent to His creation. Bereft of its biblical moorings, Disney’s rendition, though wrapped in stunning cinematography, becomes a coming-of-age story that ends up being, fundamentally, about believing in yourself and self-worship. This stands in stark contrast to the original’s focus on yielding to, submitting to, and worshipping the transcendent one—the great “I AM”—and living the true adventure of a lifetime and forever. What we worship during our lives has eternal consequences. We are all born to bow to something and, when all is said and done, we either bow to God or we bow to ourselves. Choose wisely, Padawan.